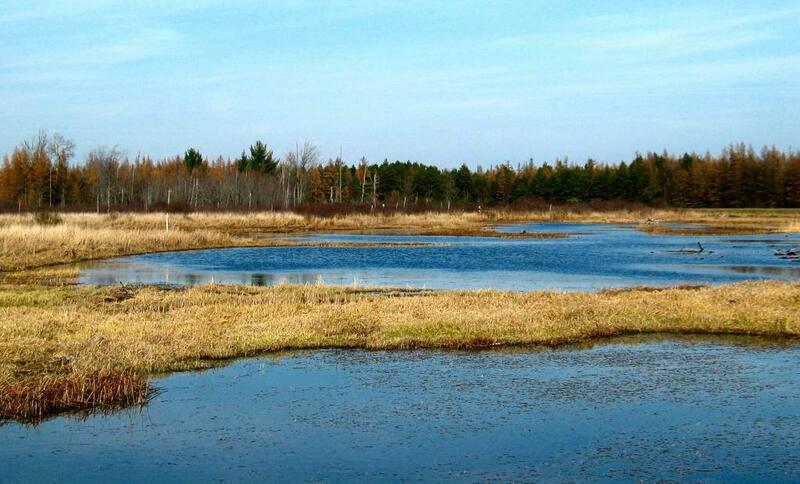 Tuttle Marsh is a 5,000 acre wetland complex in the Huron National Forest. From Oscoda, take Old US 23 about 5 miles wet to Tuttle Marsh Road, turn left into the entrance road. From Tawas, travel north on Wilbur Road to Sherman Road, turn right on May Road, right on Brooks Road, left on Swan Road, left on Davison and follow to Tuttle Marsh Road.